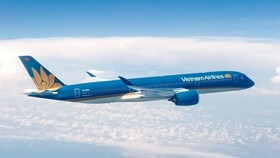 Vietnamese shares are forecast to move marginally this week as investors could realise their earnings after having priced in the growth prospects of both the market and local stocks. 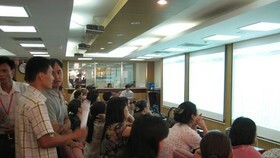 The benchmark VN Index on the HCM Stock Exchange gained 1.13 percent to close at 1,062.07 points. After the last two sessions, it has almost regained a loss of 2.66 percent. 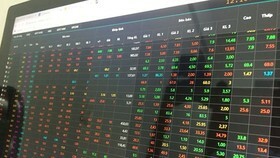 The minor HNX Index on the Ha Noi Stock Exchange edged up 0.41 percent to end at 122.39 points. The northern market index has increased a total 1.6 percent in the last two days. 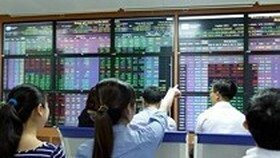 Both stock indices posted weekly growth this week with the VN Index rising 1.1 percent after the last five trading sessions. The figure for the HNX Index is 1.3 percent. More than 387.4 million shares were traded in each session last week, worth VND9.44 trillion (US$ 420 million). 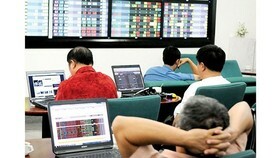 The trading figures fell 4.5 percent in volume but increased by 1.9 percent in value compared to the previous week. The stock market indices increased on a weekly basis as investors were optimistic about the companies’ quarterly and yearly earnings reports and the market outlook this year. Strong confidence kept market trading liquidity high as investors continued to look for opportunities in stocks that declined on January 17. 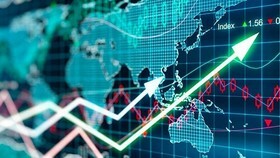 According to analysts and securities firms, the stock market will continue to grow in the coming week but the growth will be narrow as investors try to lock in gains after the indices performed well in recent weeks. The benchmark VN Index has moved up a total 7.9 percent since the beginning of the year and the HNX Index has increased by 4.7 percent. 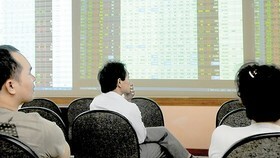 Investors have made big profits as they purchased stocks when the benchmark index was rising in the first two weeks. 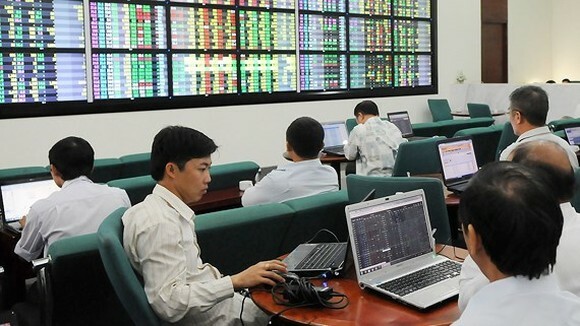 “They tended to lock in profits when bad news appeared and threatened their profitability,” Ngo The Hien, a lead analyst at Saigon-Hanoi Securities Company (SHS) told tinnhanhchungkhoan.vn. 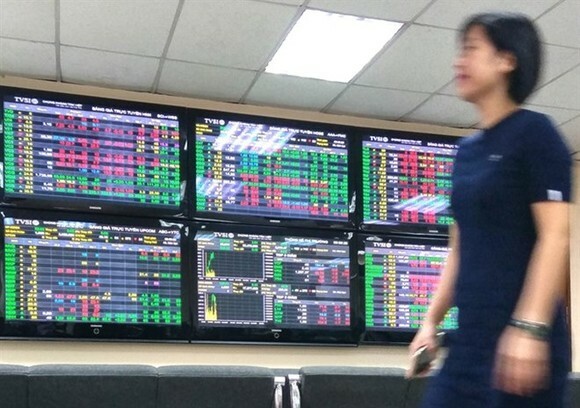 Nguyen Hong Khanh, head of market analysis at Sacombank Securities Company (SBS) said investors had priced in local stocks on expectations that both the market and corporations would perform well. However, they remained defensive and were willing to offload their portfolios if they saw any news that could hurt the market, Khanh said. “It’s a normal market sentiment at the moment, especially when the stock market is recording strong gains recently,” he said. The stock market would need to settle at the range of 1,020-1,070 points before making a further improvement, Hien at SHS said. “The benchmark VN Index is accumulating at the range of 1,020 and 1,070 points, which were also the lowest and highest levels of the benchmark last week,” he said. A positive signal for investors was high trading liquidity, which proved investors were still attracted to the prospects of the market and stocks and they were willing to bottom-fish stocks that decline, Hien said. However, he warned that investors should stay calm and avoid making new investment decisions as the stock indices were near their resistant levels and the market would become volatile in the near future. Khanh at SBS said the growth momentum of the market had mainly come from investors’ confidence in corporate earnings and such expectations had priced in stocks. “When the companies are about to release their earnings reports, stocks will be mixed and the market will grow slowly,” he said.